Bravo! Bravo! Lonnie and Claire Shepard have done it again! 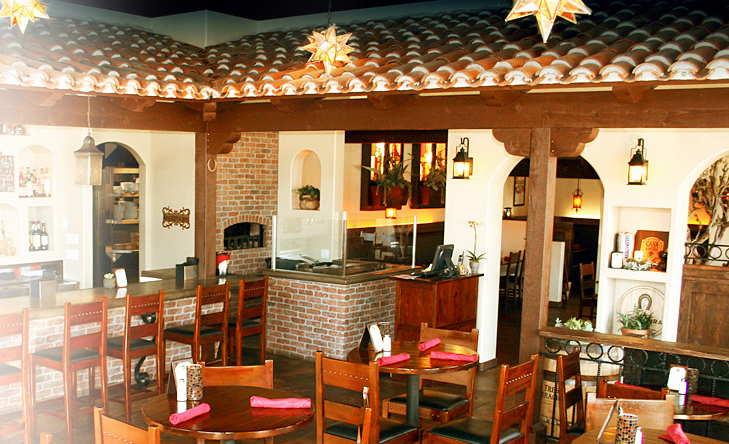 Not only do they own the wonderful restaurant, Infusion, but they scored with a property across the parking lot and created a new Mexican cantina called Casa Ranchero (in the Mercantile West shopping center at Crown Valley Parkway and Antonio Parkway, in Ladera Ranch). 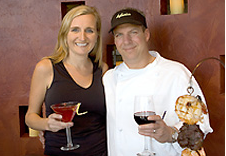 Lonnie and Claire, husband and wife, are a great restaurant team. Lonnie has perfected his talents as a chef over the past 25 years. He has cooked for Chateclair in Irvine, the Pacific Club in Newport Beach and he was the opening executive chef for Dove Canyon Country Club as well as the Dana Point Yacht Club. Currently, Lonnie is the executive chef of Infusion. Combining his chef skills with Claire’s business mind, they decided to challenge themselves with their new Mexican cantina venture, Casa Ranchero. The interior and exterior of Casa Ranchero is really fun. The creativity of the interior makes you feel like you’re in a Mexican casita. The patio is great! There are comfortable couches, a big bon fire, outdoor bar (with a TV), and plenty of heat lamps. It’s great ambiance to hang out, sipping one of their signature margaritas and munching on homemade chips and salsa. Once the weather becomes warmer, I can see Casa Ranchero becoming a great hang out this summer! At the end of a long day, Ken, Andrew, Cindy and I relaxed outside on the patio. 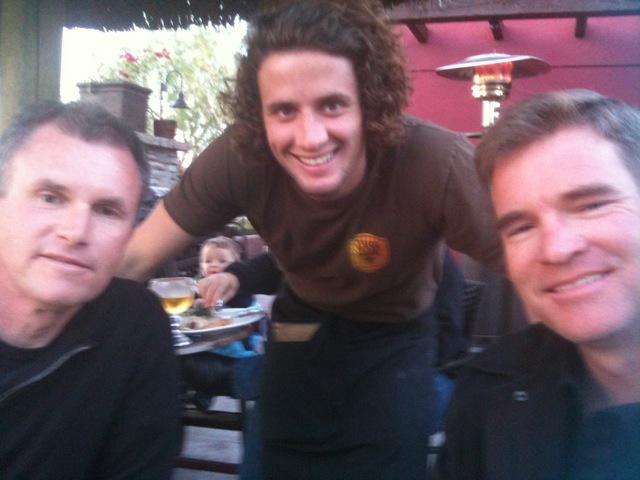 Casey, our very polite, informative and awesome waiter, took great care of us, offering us first and foremost, Mexican blankets for our laps (with our cold winter, this was a nice touch). After taking our drink order of Mexican beer and margaritas, we ordered four typical Mexican meals. Ken had the Casa Ranchero Carnitas – crispy shredded carnitas with cilantro, onions, avocado and fresh lime ($13.95). Andrew had the Carne Asada – charbroiled marinated skirt steak with green onions, sour cream, and guacamole, choice of fresh flour or corn tortillas ($13.95). Cindy had the Chimichanga – a crispy burrito filled with chicken or beef, topped with tomatoes, ranchero sauce, melted cheese, sour cream and guacamole ($12.95). Casey talked me into the Suizas Chicken and Cheese – chicken and manchego cheese enchiladas with tomatillo sauce ($10.95). Chef’s Note: Queso Manchego is a cheese made in the La Mancha region of Spain from the milk of sheep of the Manchega breed. Que bueno! All in all, this was good food with reasonable prices in well-designed setting. Happy Hour: 3-6pm, M-F, (bar and patio only). Taco Tuesdays: 3-closing, (bar and patio only; DJ E&J Ent). Wednesdays: Ninos Eat Free! AND Wacky Wednesdays, 6-11, (cantina & patio only). Try Casa Ranchero’s Easter Brunch this year from 10-2pm. And friend them on Facebook to find out all their upcoming events.